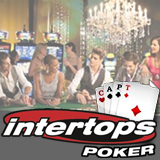 This weekend Intertops Poker is giving us one more chance to win our way to CAPT Velden, part of the Casinos Austria Poker Tour. A €1500 prize package that includes side event buy-ins and travel expenses will be awarded to the winner of the final CAPT Velden Final this weekend. This is the second CAPT Velden prize package to be won. The winner of the first CAPT Velden Final held May 4th will join Sunday’s winner and Intertops’ Poker Manager in Velden, Austria. CAPT Velden, July 11-20th, offers fantastic surroundings, an exclusive ambience, at least 25 cash tables and perhaps €1,000,000 in prize money.